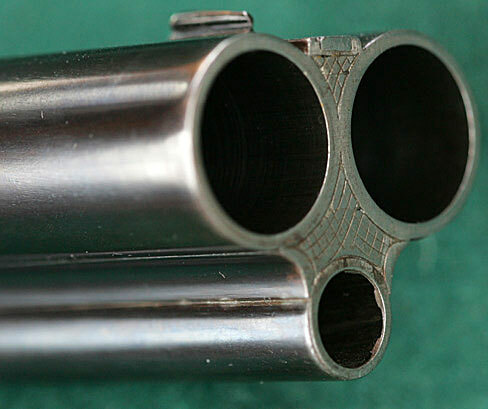 But, not all drillings are Germanic. 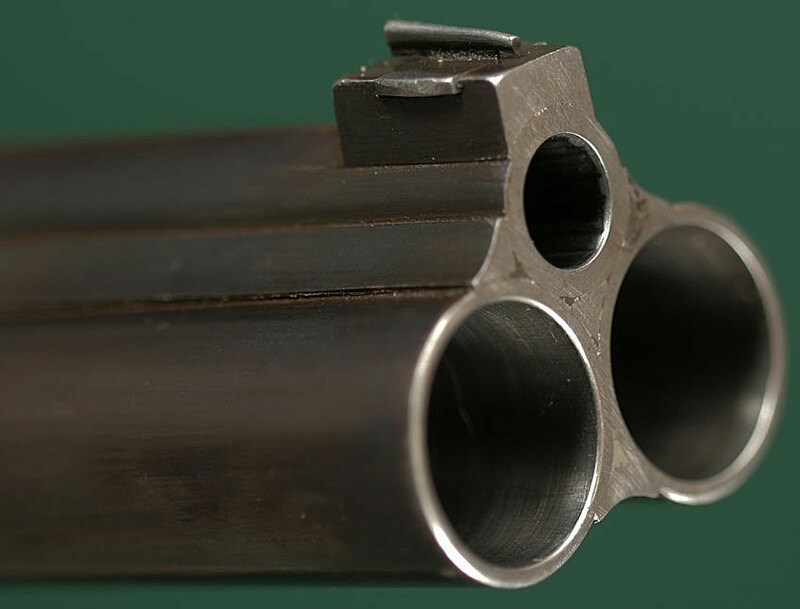 The above was built by Webley & Scott, in Birmingham, England. 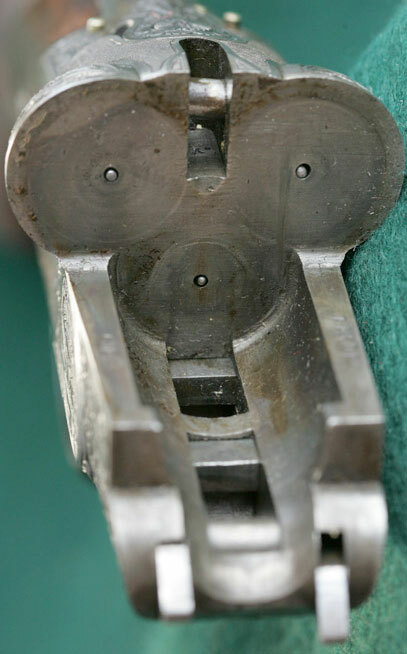 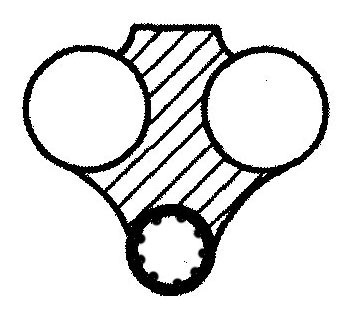 A Drilling breech face showing three separate firing pins.